FREE month bus pass or ipod shuffle! Three prizes available. 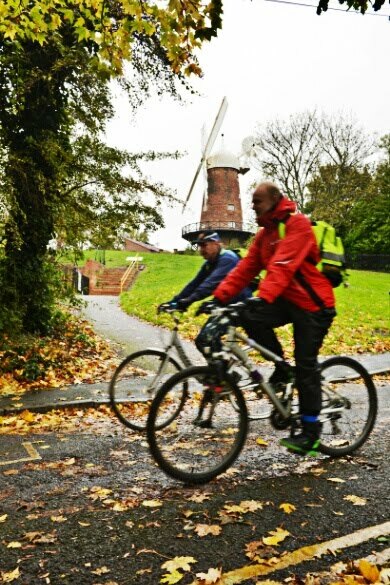 Sustrans, the sustainable transport champions, are hard at work in Nottingham seeking to improve how we get around by bike, on foot and by public transport (a key part of the Sneinton Vision...). They're doing a great job of engaging with community groups such as Sneinton Alchemy and Sneinton Bikers, and are just about to go public with a scheme to offer travel support to people across Nottingham. The Sustrans Smarter Travel Team want to help you save money and time on your journeys in Nottingham. They need your feedback to help improve the travel options in your area so that more people can travel sustainably across the city. In the coming months they will have lots going on which will be based around what you tell them so your views and valued and your time appreciated. If you are a city resident living in south or central Nottingham, just complete their travel survey by midnight on 2nd February 2014 and you will be entered into a prize draw.